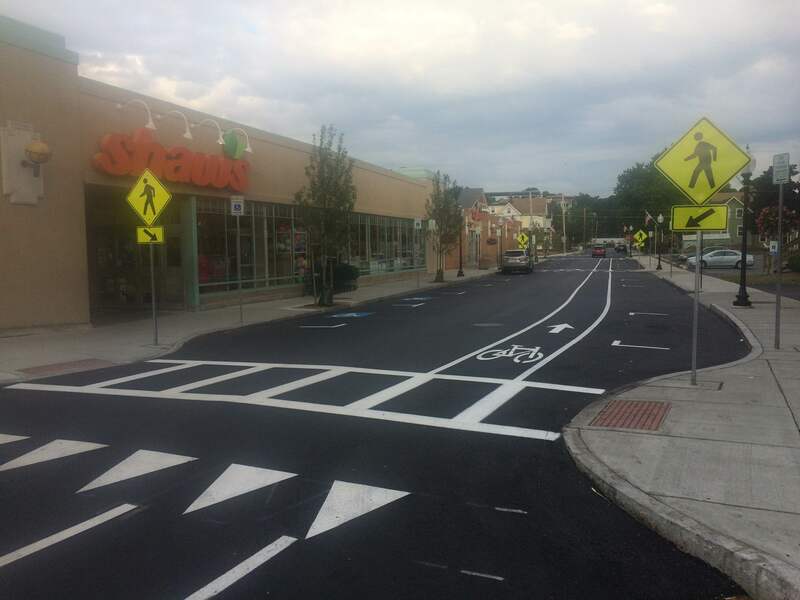 Have you been to Essex Street recently, and seen the new bike lane and pedestrian crossing design? This is an example of things to come in Melrose. 2016 may well prove to be a landmark year for pedestrians and cyclists in Melrose. In June, the City of Melrose submitted its new Complete Streets policy to the Baker Administration, making the city eligible for up to $400,000 in funding for transportation improvements annually in the coming years. The policy charts the path for making streets and sidewalks safe and accessible for users of all ages and abilities, meeting the needs of all transportation modes – cars, buses, bikes, pedestrians, and people in wheelchairs. The policy will apply to both public and private infrastructure projects. The Melrose Pedestrian and Bicycle Advisory Committee applauds the City’s bold step in advancing the plan. Committee members contributed content to the draft policy and the Committee will have one spot on a Working Group created to guide the policy’s implementation. Come by the Ped-Bike booth at the Victorian Fair on September 11th to share your ideas for priority sidewalk, crosswalk and bike improvements. We will have more information about Complete Streets, and an interactive map to collect resident’s views and suggestions. These inputs will be part of the “data” shared with the City’s consultants who will be developing a comprehensive prioritization plan proposal, which will guide transportation network improvements in the coming years.